It’s the lottery of the day when citizens of America don’t have to be broke. 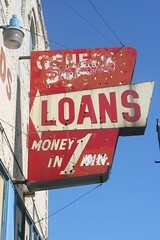 Today, there are many options to meet expenses if the cash runs out before payday; one option is known as a Title Loan. Also included with these entities is the well known Catholic Charities Dioceses of Texas who helps those in need. This entry was posted in Community, Ethical and tagged Annual percentage rate, Automobile, Car, Credit card, Interest Rates, Loan, Payday loan, Post-dated check, Texas, Title loan, Virginia. Bookmark the permalink.